How can today’s organizations keep up with the pace of change? For Bradley R. Staats, the answer is easy: we all need to keep learning. Most people would agree that sounds sensible. The hard part is making it happen. “That’s really where, organizationally, we run into trouble,” Staats says. He describes how this problem nagged away at him until he came up with some solutions. “I’d been in investment banking, in strategic planning, in venture capital, and seen individuals and teams that I thought had the resources, that I thought had the knowledge to do what needed to be done, but really struggled over time,” he recalls. 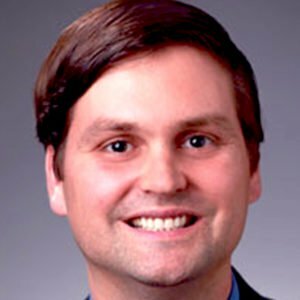 Now Professor of Operations at the University of North Carolina’s Kenan-Flagler Business School, Staats has published his conclusions in a new book, “Never Stop Learning: Stay Relevant, Reinvent Yourself and Thrive.” In it, he extols the virtues of being a “dynamic learner,” a term that encompasses four parts. Collectively, these four elements make it easier for us to learn new skills and ways of working, so we can adapt to the shifting sands of today’s business environment and not get stuck. In his book, Staats presents eight essential elements to achieving this ideal. The first of these involves another F: failure. Staats offers some practical advice to help people cut through the fear and start embracing failure as a great way to learn. And then there’s that buzzword, “data,” which also has a role to play as we try to learn from our mistakes. Staats cites the success of companies that measure their failures, almost as a badge of honor. “I’ve seen some organizations target a failure rate [rather than] a success rate. If our failure rate is too low, then that means we’re not pushing the boundaries nearly far enough,” he says. Another of Staats’s eight essential elements is asking questions, rather than rushing to answers. Like learning from failure, this tip may get experienced learners nodding. Again, understanding the principle doesn’t make it any easier to achieve, and Staats explains why. “When we ask a question, we think it shows that we don’t know something, and that people will actually think less of us. What’s interesting is the research suggests it’s just the opposite, because if we ask a question, it engages us with the party on the other side. It lets them be an expert and share their perspective with us,” he points out. In addition, it helps to have what he calls “a falsification mindset.” This is an idea borrowed from the world of science. “A good scientist has a hypothesis and tries to falsify it. You try to show why it’s wrong,” he says, and gives a clear example. This kind of self-awareness benefits from reflective practice. Not surprisingly, reflection is another essential element in Staats’s learning framework. In this audio clip from our Expert Interview podcast, he explains why he combines reflection and relaxation in one principle, and how we can do more of both activities.